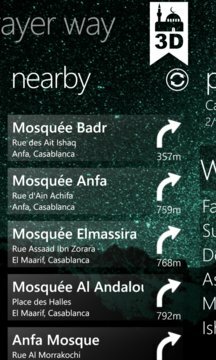 Prayer Way will easily locate the nearest mosque to pray around you with a turn by turn, add to favorite list and share with friends options. 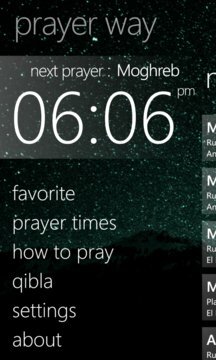 It shows you an accurate Qibla (Mecca) direction for prayers using your digital compass and your location on a Map. - Available in 7 languages (French, Arabic, English, Russian, Italian, Spanish, Turkish).